Hindus will be outrageous if you don’t stop Christian Conversion in Hindu Temples under TTD. Why ‘Communists and Atheists’ in in TTD? Stop Proselytizing in Hindu Temples under TTD. ‘Communists and Atheists’ in Tirumala Tirupati Devasthanams (TTD) Administration are allowing Christianity for Conversions in Hindu Temple complexes. 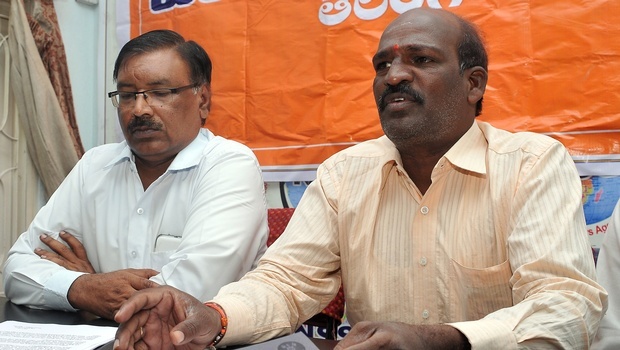 Hindu Vahini Telangana state president Uppala Raju (right) and Hyderabad unit head Prabhakar Reddy speaking at a press conference in Hyderabad on Friday | Pic. A RADHAKRISHNA, NIE. HENB | Hyderabad | 1 Nov 2014:: The Telangana Hindu Vahini has alleged illegal conversion of Hindus into Christianity and illegally preaching Christianity at Tirumala Tirupati Devasthanams (TTD) temples. “With the support of foreign countries, some people are taking it as a profession to convert innocent tribals into Christianity,” alleged Uppala Raju, state general secretary, Telangana Hindu Vahini. Raju also accused the appointment of officials at the temple, who are turning a blind eye to the conversions taking place in Hindu temple premises adminstered by the TTD. “Since the appointed people at the temple either have Communist ideology or are atheists and no faith in Hinduism as such, they are not stopping conversions,” Raju alleged, while demanding immediate action against those who are preaching Christianity at temple premises and those supporting it. Referring to GO No. 168 issued by the erstwhile Andhra Pradesh government in 2012, which prohibits any other religious activity within 100 metres of a place of worship in particular faith, Raju threatened to take matters into their own hands if no further action was taken. “Christian preachings are taking place inside a temple complex and yet the police are keeping indifferent. If no action is taken, then Hindu people may take law into their own hands for the protection of their own faith,” he warned. 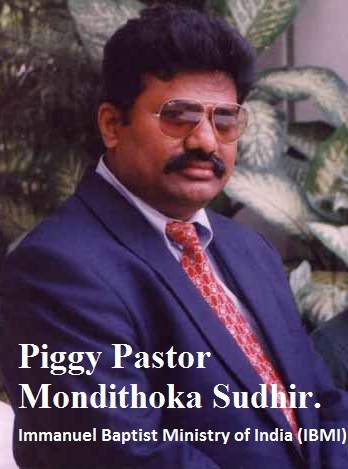 Sudhir Mondithoka is seen standing in front of the Tirumala temple, where he again preaches Christianity and calls the idol of Lord Venkateswara as a false idol. Pilgrims are seen moving around him even as Sudhir Mondithoka continued his ‘propagation’. Attack the humiliating mentality of this prank pastor and teach him a good lesson. Viewers of Struggle For Hindu Existence must contact and complaint with the authority of TTD at Tirumala Tirupati Devasthanams, TTD Administrative Building, K.T. Road, Tirupati – 517 501, Andhra Pradesh, India. The email of TTD is helpdesk@tt-devasthanams.org and the contact numbers are: Phone: +91-877-2233333, +91-877-2277777, Toll Free no.18004254141. Previous story Boycott US items and Give a lesson to US for their habitual anti-Hindu stance. Copyright © 2015 christianportal.in- All rights reserved.